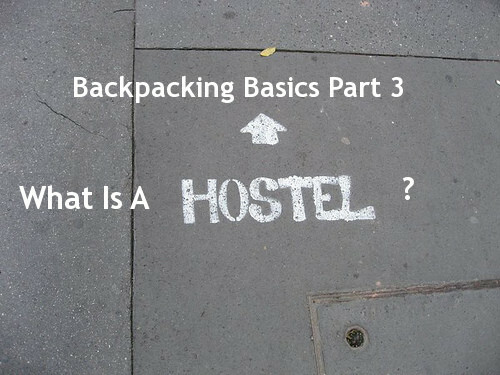 Backpacking Basics Part 3: What Is A Hostel? This is the third part of 5 in a series of backpacking basics. You can catch up with Part 1 (What Is Backpacking? ), Part 2 (Picking The Right Backpack), Part 3 (What Is A Hostel? ), Part 4 (Where To Start Backpacking), and Part 5 (The Backpacker’s Dictionary) if you missed them. Almost an integral part of backpacking and the culture behind it is the hostel. 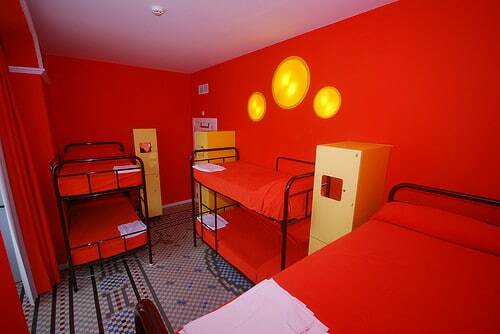 A hostel is basically a low budget lodging option, generally where you share a room with 4-12 people. Hostels are plentiful in many cities around the world and geared towards backpackers offering things that most hotels charge extra for like wireless Internet access and last minute booking. 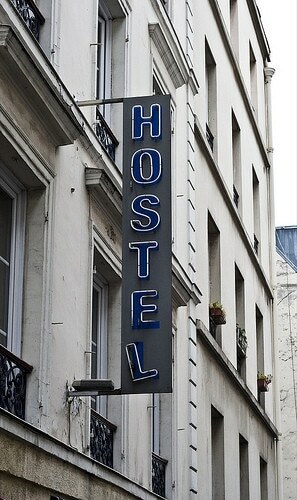 Hostel rooms in Europe, for example, run about 10-15 Euros a night compared to 80 for a hotel. Most people choose to stay in a hostel for the lower prices, community atmosphere, and their unique character. Hostels are where most backpackers stay if they’re booking accommodations and they’re a great way to meet other people of like minds. Hostels, much like hotels, vary quite a bit in their offerings but here are some pretty consistent things you’ll find across most. Sharing a Room and Bathrooms – Many hostels do also have private rooms for one or two people for a bit more cost but almost always less than a hotel. A Kitchen (For You To Use) – It’s cheaper and healthier to go grocery shopping and cook at the hostel. Most also have a fridge and places to store your extra food. Quiet Hours – You might be worried about sleeping in a room with 12 other people but most hostels implement “quiet hours” between reasonable hours of 10pm and 8am. Here’s a guide to sleeping in hostels. Free Wi-Fi – The access point is usually open and you don’t have to register or jump through hoops to get online. 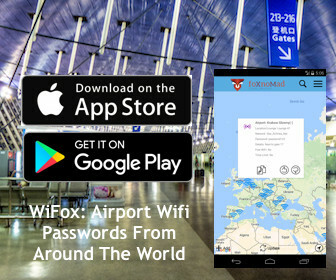 That makes it much easier to use wi-fi with your mobile device or iPhone without breaking the bank. Tours and Local Travel Information – You can stay in a hostel and still take an organized tour if you like and often the prices are lower than booking elsewhere since many hostels work with local vendors. Helpful (Understanding) Staff – People working at hostels know many of their customers are on a very tight budget and will let you know where to eat, drink, and entertain yourself for less. Many people who’ve never stayed in a hostel have a number of misconceptions and one of them is that all the people who stay in hostels are seasoned travelers who never do any ‘regular’ travel stuff. In a lot of ways staying in a hostel isn’t all that different from staying in a hotel. Quite a few people are afraid to stay in hostels due to several misconceptions about them. Most of them revolve around the idea that hostels are huge parties full of 20 year old drunk backpackers. While there are definitely “party hostels” and you can easily find out which ones they are by reading the reviews on the site you’re booking through. One thing to remember is there are a variety of hostels – you can find the right one for you. There are two major websites to search when looking for hostels before your next trip. It’s not all that different from booking a hotel on Kayak, Travelocity, or any other online travel agent. Hostelbookers – Also has a large collection of hostels and you can search both to compare prices (sometimes they vary). Once you do find a hostel you can also try Googling them to see if they’ve got a website and perhaps some special offers for particular dates or if you book directly through them. After the first time booking a hostel takes about 5 minutes online. It doesn’t take extensive research and you can get most of the information you need by reading the reviews of the hostel before booking or on sites like Hostelz. Finally, just like anything else, if you’re not happy or satisfied you can ask it to be fixed or for a refund. In the end hostels are businesses and a more normal experience than most imagine them to be. Tomorrow in Part 4 we’ll get to the fun part of backpacking and some of the best places to start. Great info, Anil. I have done hostel way back when I was single with no kid. But I’m looking forward to introduce that to my kids soon in our future trip. But sometimes, comparing the cost of 4 beds in a hostel it seems cheaper to get a hotel room. Interesting point, I hadn’t looked at it from that perspective. I was just at the HostelWorld conference and met many hostel owners from around the world and more and more seemed eager to fill in the ‘family travel’ niche. Hopefully that means more options down the line. Good point on the misconceptions. I remember my first few stays in a hostel and I was struck by how early most of the people went to bed because they had to get up early. Often this was to work as hostels attract many long term travelers who’ve got gigs at a local cafe or restaurant. Most people worry the most about sleeping and I too have always had pretty good experiences. Probably the most disruptive thing has been snoring, but doesn’t bother me too much and earplugs could easily solve that. Great post – chock full of info. I love hostels and try to find them wherever I travel. I just downloaded the HostelWord app for my iPhone, thanks for that. It’s pretty neat and you can price out an area easily and on the go. Great piece on hostels. This was my typical accom on most of my earlier trips and I typically had a good experience. One point I’d like to make is that often hostels in small towns, villages and on points through a multi-day walk have a rustic charm about them with typically like minded people staying. Some are in superb old buildings like castles (or even a boat in Stockholm) as they are given over for preservation. They are well worth seeking out. The occasional big city hostels can be a bit prison-camp like with large rooms of beds, strict rules (needed to make the place work) and breakfasts feeling like a battleground. I ended up avoiding the huge hostels but sought out the smaller ones. Lastly, you can get some great advice in hostels as invariably many have just come from where you are planning to go and can offer some good suggestions as to places to see or places to avoid or good eats etc etc. Some of the best local travel advice I’ve gotten was in hostels both about the destination and often at other stops down the line. Most hostels are also much more personal and interesting than chain hotels as well. It’s too bad they get a bad rap. I think many hotels are trying to work their way down into the hostel market and I know that many hostels are looking to expand up. That’s a *nice* hostel, looks incredible. Some of the pictures above also happen to be from hostels in Valencia (not the same one though). Thanks for linking to my post! I think that questions about hostels are the #1 thing I get from people who haven’t traveled much. There is definitely this fear of the unknown surrounding them. It’s a shame because they make backpacking so much more affordable and interesting. I think that the other travelers you can meet in hostels are the biggest perk. Your post was spot on. Once you stay in a hostel though, you realize how normal they are yet still retain something unique. It’s hard not to love hostels – many of them run by backpackers. i like staying in hostels coz i get alot of useful information from fellow travelers and sometimes you find someone who’s heading to the same place as you are…instant travel buddy for a couple of days. 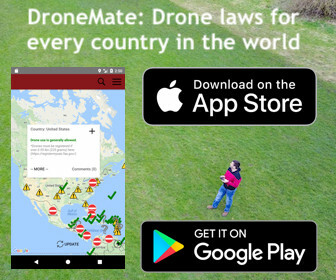 I like that – ‘instant travel buddy’. hostels – what would we do without them!! I haven’t stayed in one for years, but I have such fond memories of them. Hostels and couchsurfing aren’t for everyone though. Absolutely, although I think hostels are for many more people than most think. Backpacking and hostel/couchsurfing thing is definitely NOT for me though.